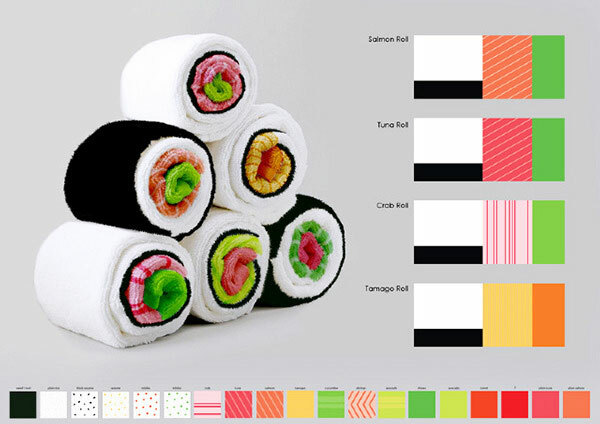 These sushi towels are a set of kitchen towels that are made using a few different patterns which when rolled up a certain way look like giant sushi rolls. One side of the towel has a green pattern on it that represents the avocado, the middle part of it has a red pattern on it that represents the fish, the other end of the towel is part white which represents the rice and part black which represents the seaweed. Simply fold the towel in half, and roll the towel up starting with the green side. Once complete you will have a beautiful sushi towel that's then ready to be unrolled and used to clean up some crap. 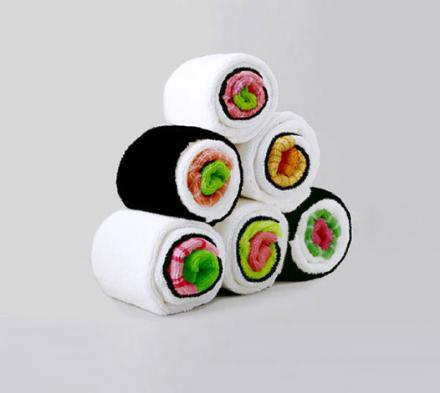 The sushi towels are designed by Jenny Pokryvailo, a product designer from Israel and is the same designer that made the very popular Nessie Ladle that popped up a few weeks ago. 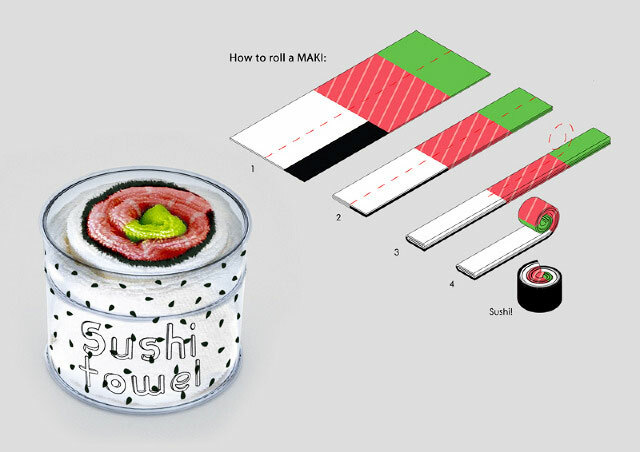 Although just a concept for now, the sushi towels will come in a variety of different flavors (colors) to choose from if they do ever come to fruition, which I for one hope will happen someday.